The United States federal prosecution against alleged international online gambling kingpin Wei Seng “Paul” Phua continues to reel, days after the presiding judge in Phua’s upcoming trial threw out the remainder of evidence amassed against Phua. Much of the evidence in the case, in which Phua and several alleged cohorts allegedly operated a boiler-room sports betting operation from private Caesars Palace guest villas, had already been ruled inadmissible. The ruling leaves USAO prosecutors with very little hard evidence against Phua, whom the FBI and Nevada USAO office have previously characterized as a high-ranking member of the 14K Triad, an Asian organized-crime group. Phua is well known in Macau and other Asian gambling circles as a prominent junketeer, specializing in bringing high-limit betting “whales” to Oriental casino destinations. Phua and his son, Wai Kit “Darren” Phua, were also the central figures in the the ultra-high stakes poker games held in Macau in recent years, games frequently by some of the world’s best and wealthiest players. The latest ruling by Judge Gordon also serves as an additional slap in the face to US federal prosecutors, who despite the mounting inadmissibility of evidence in the case recently added a conspiracy charge against Phua, in addition to the bookmaking charges — operating an illegal gambling business and transmission of wagering information. As the US’s case against Phua has come apart, Phua’s powerful defense team has pushed its advantage, seeking not only an ease of travel restrictions, but the release of seized collateral as well. Originally, before much of the evidence in the case was tossed, Judge Gordon had refused to modify Phua’s bail, which included electronic monitoring via ankle bracelet and confinement to Clark County, Nevada. Phua had sought leave to return to Malaysia in support of his mother, who is suffering from a serious illness. Following the dismissal of the first batch of evidence, Phua’s attorneys — David Chesnoff, Thomas Goldstein and Richard Schonfeld — had proposed that Phua be allowed to return to Malaysia temporarily, with his $2.5 million bond and $40 million private jet held as surety. The Nevada USAO prosecutors protested that, on the basis that Phua no longer had a valid visa and could not return without the authority of other US customs and immigration agencies. It’s an odd statement: The federal prosecutors literally made the claim that Phua might not be allowed to return to the US to stand trial. Then the latest dismissal of virtually all remaining evidence occurred. Phua’s defense team has now modified its claim, and seeks the removal of all travel restrictions on Phua and the release of all collateral currently being held in the case. In a filing dated Friday, Phua’s attorneys state that the USAO is “go[ing] well out of its way to be coy” in its recent handling of the case. The trial, after several postponements, was scheduled to begin on June 15th, but there’s no way that that date can now be met. Phua’s defense team has asserted that the only way the prosecution could even consider moving onward would be to file for a continuance, a legal procedure which could delay the trial another year or more. As things stand today, there will be a trial unless the indictment is dismissed or the Court grants a stay or a continuance. But the [prosecution] says nothing about either one. It does say that it is considering whether to appeal, which understandably can take several weeks. But it does not request a continuance or a stay, or indicate its intention to do so. Absent that request, given that it might not appeal, the trial could date would stand. The [prosecution] surely knows its intentions. But as always, it leaves the Court and Defendant entirely in an unnecessary limbo. The defense team continued by stating their expectations that the USAO would file for that continuance, even though the latest filing vows to battle that legal move as well. “Defendant [Phua] may well vigorously oppose that relief, if and when the Government requests it; we would be objecting to thin air at this point,” wrote the defense. 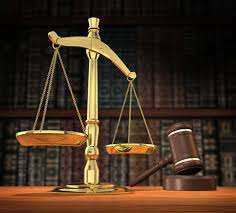 In the event the indictment is not dismissed and the case is instead stayed, or the trial date continued, the Court should modify Defendant’s bail conditions. Previously, Defendant suggested that the Court retain the collateral. But Defendant now submits that the Court should release Defendant on his own recognizance and release the collateral. The reason for the change in the relief sought by Defendant is plain: in the interim, the Court has suppressed all of the remaining evidence in the case. Not only is that ruling overwhelmingly likely to stand , if there is to be a trial in the case it will not be in a few weeks, but after a year or more of appeals. Judge Gordon has yet to rule on the the defense objection and subsequent filings regarding Phua’s ongoing bail terms. By all external indications, however, the case against the Asian gambling whale appears to be going very badly for the USAO prosecutors, handcuffed after the fact by the warrantless searches conducted by federal agents.